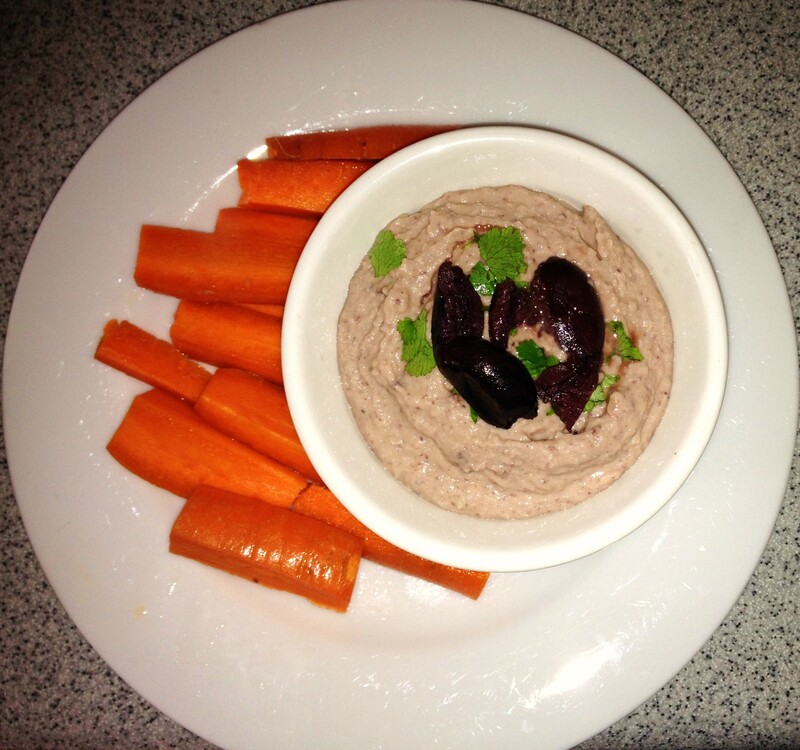 For some reason, I’ve always been more successful with the white bean dips over chickpea hummus. But I really wanted to make this after I found olive hummus at Publix the other day and forgot to buy chickpeas, so white bean dip it is! Let me tell you about a little creation that was the first recipe I ever wrote. And I apologize to my loving family for forcing them to eat this. I guess I was a super salty child because this was an appetizer composed of round tortilla chips, penne pasta, and kalamata olives. Here goes: Set out some round corn tortilla chips on a tray. Chop up your kalamata olives into really tiny pieces like tapenade. Stuff the olive pieces into cooked penne pasta and set two atop each tortilla chip. Serve. Cold. Hence, the beginning of my kalamata olive love. I like my hummus thick but not really chunky so I’ve adapted from this lovely recipe. 1. Whisk together tahini and olive oil until smooth in a small bowl. 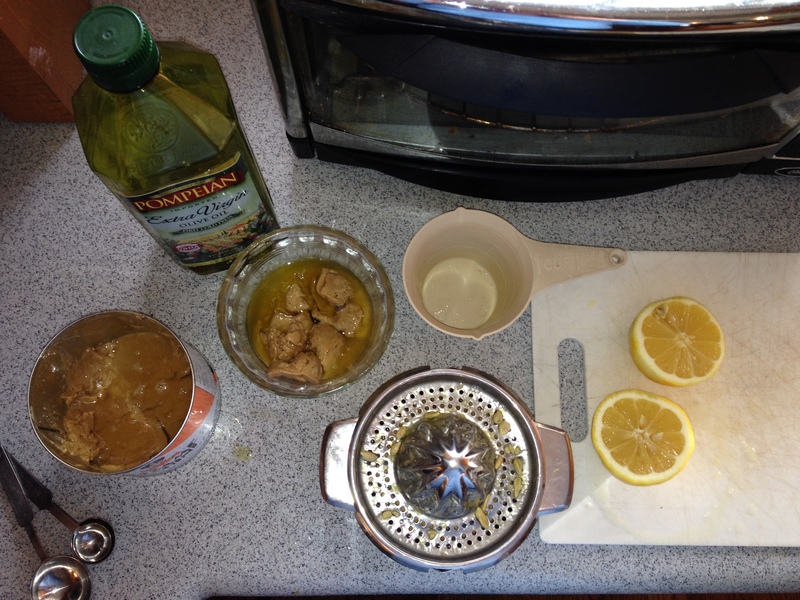 Combine lemon juice and water in a separate bowl. 2. 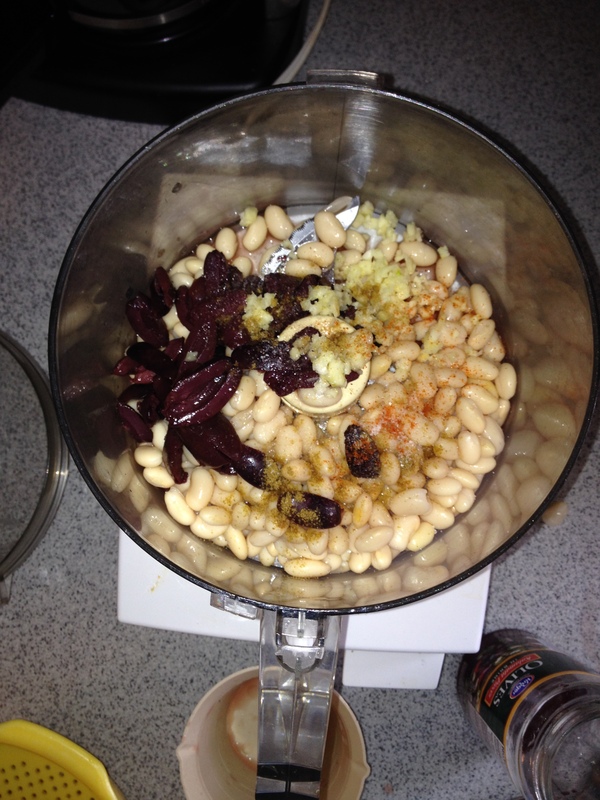 Add beans, spices, olives, and garlic to the bowl of a large food processor. 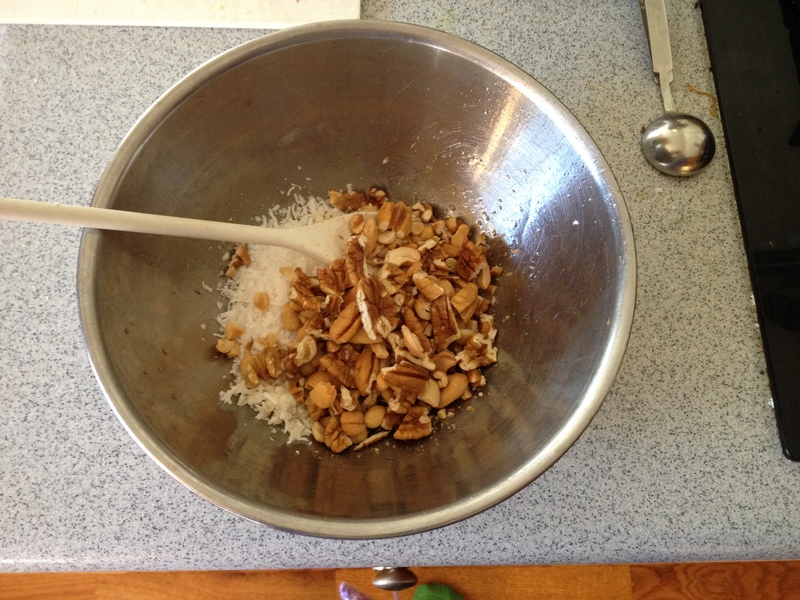 Pulse until fairly smooth and then scrape down the sides before adding the lemon/water mix. 3. Stream in the tahini/olive oil and add more beans if you like your hummus even thicker than this. Add some cracked black pepper at the end. 4. 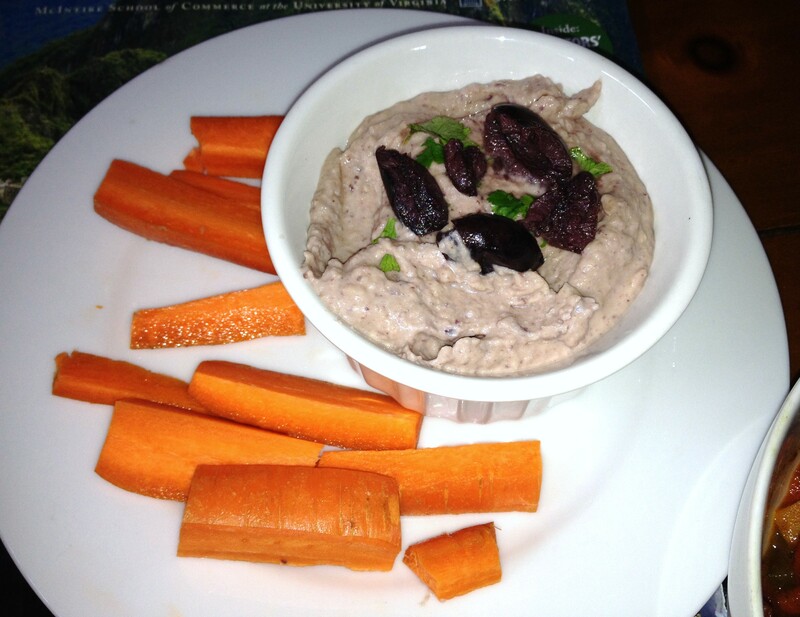 Refrigerate to let flavors meld or eat immediately with pita chips, carrots, other veggies or on a sandwich. I didn’t quite believe thefauxmartha when she dubbed this recipe “The Last Granola Recipe” but I think this woman’s on to something. 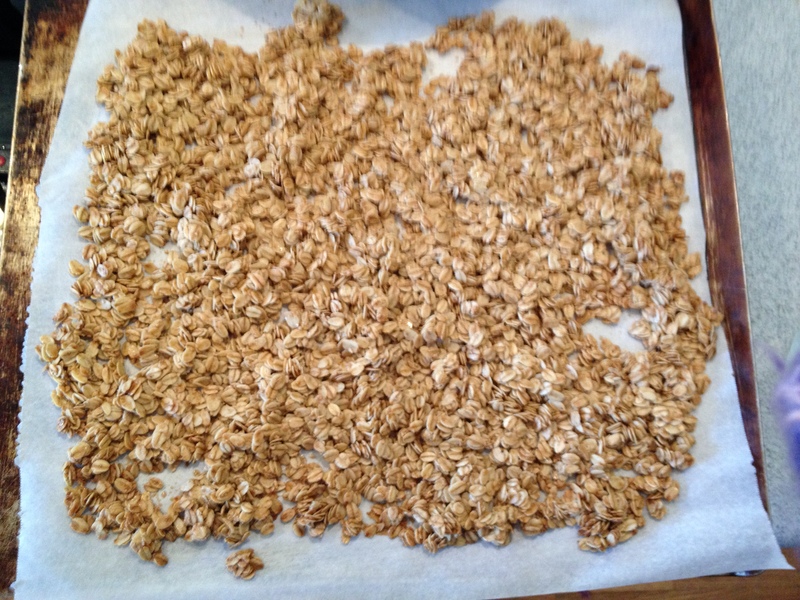 I am not at the stage yet where I’ve totally found my staples and to be honest, it feels a little dramatic to say this is THE ABSOLUTE LAST granola recipe I should ever try. But you know I’m really LEARNING a lot these days. Cardamom. Usually sneaks itself into chai spice, but here it’s really only with cinnamon. The shining star, it counters the sweetness of the maple syrup and mixes well with the coconut and nuts. I’m a fan of you cardamom! I ate this granola atop yogurt, mixed with another cereal in milk, and actually used them to make these Magical Marvelous cookies from Food52. Thanks for being reliable, granola. You’re there for my mornings, my extra-secret-magical-cookie ingredient, and those mid-day snacks when I want to pick out some dried fruit or the nuts. 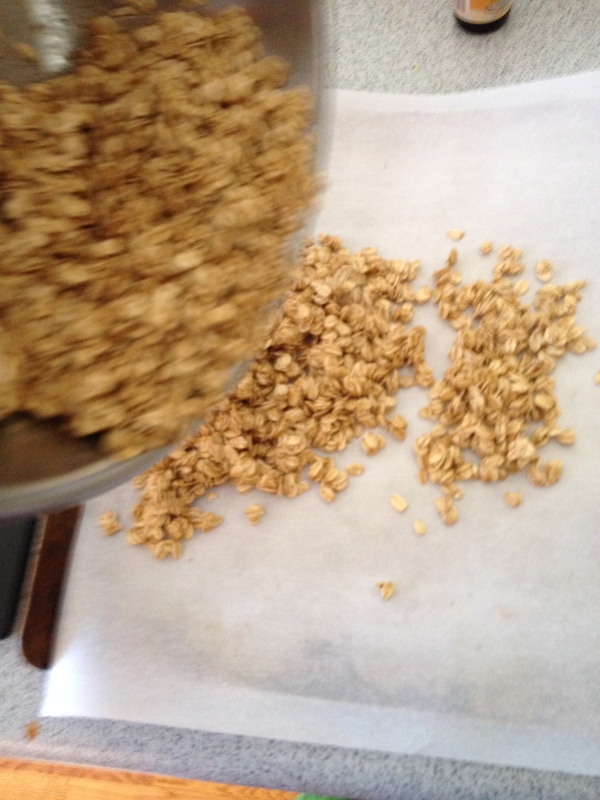 What are you loving these days besides your favorite granola recipe? I’m loving NeedtoBreathe, a certain special chapel, new skinny jeans, and wearing my Grandpa’s old scarf everywhere as if he’s with me. 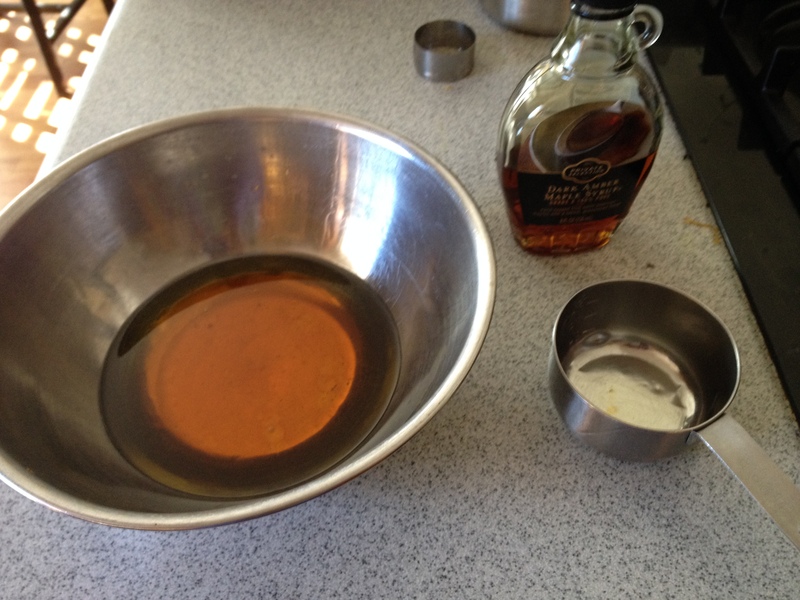 Let’s begin…I made half of the recipe FYI. 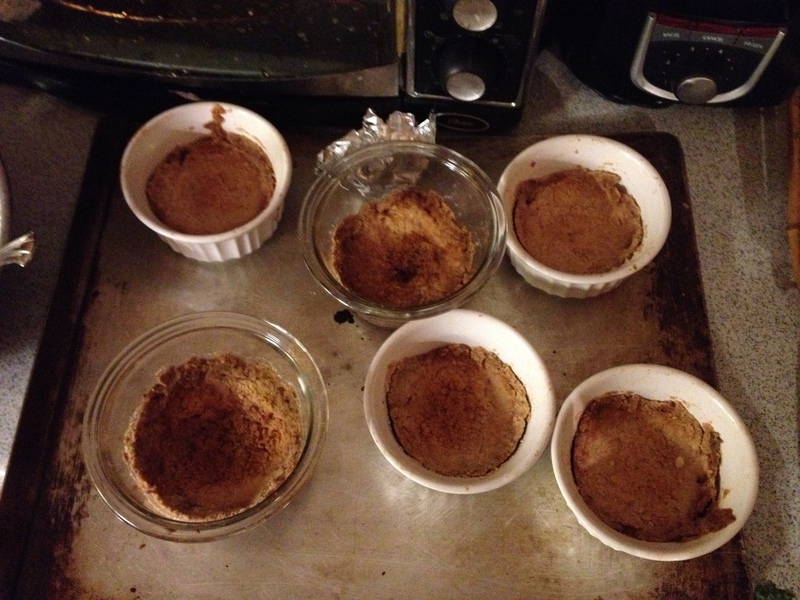 Here goes cardamom, oats, salt, and cinnamon. Give it a lil swish with the whisk. 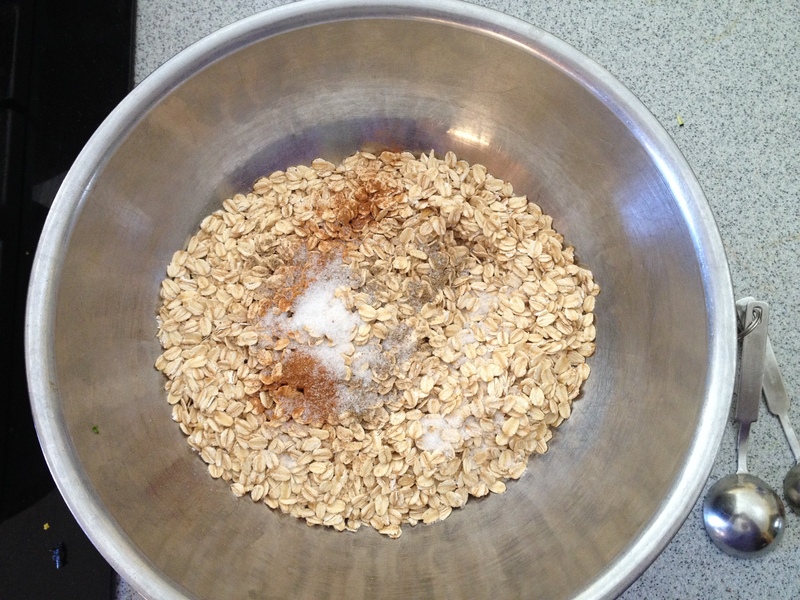 Mix up the oats and the sweet coating, reserving a few tablespoons of the oil mixture. Spread everything out on a parchment-paper lined baking sheet. 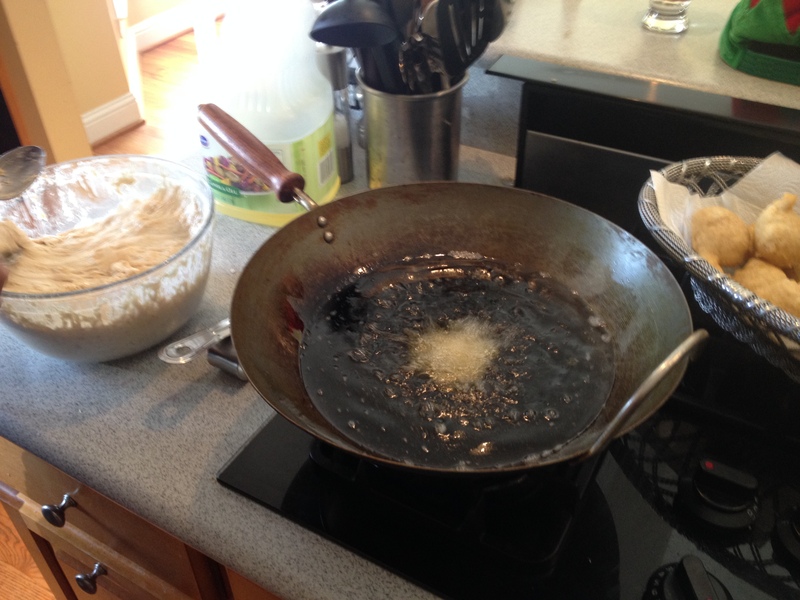 Mix them together with some leftover syrup-oil mix and the dried coconut. I have the thin strips not those thick flakes here. 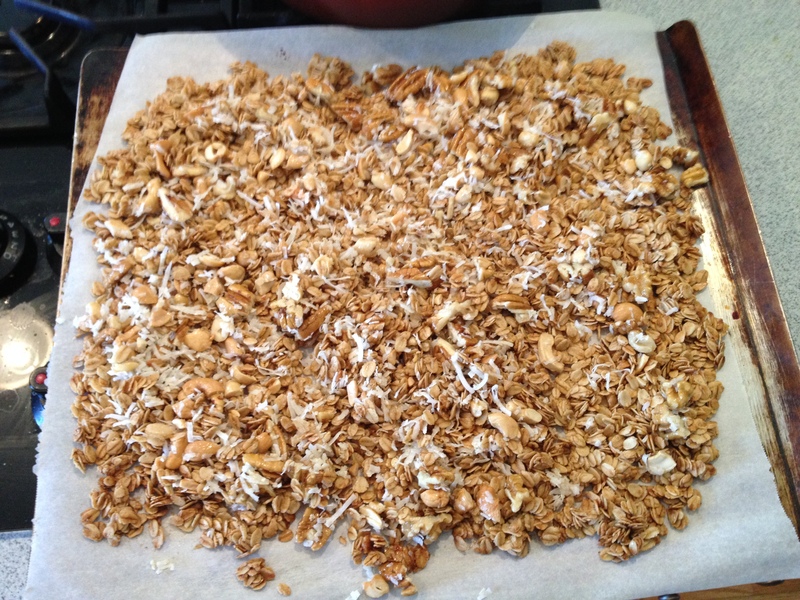 After 20 minutes mix in the nuts etc into your granola and bake off for another 5-7 minutos. 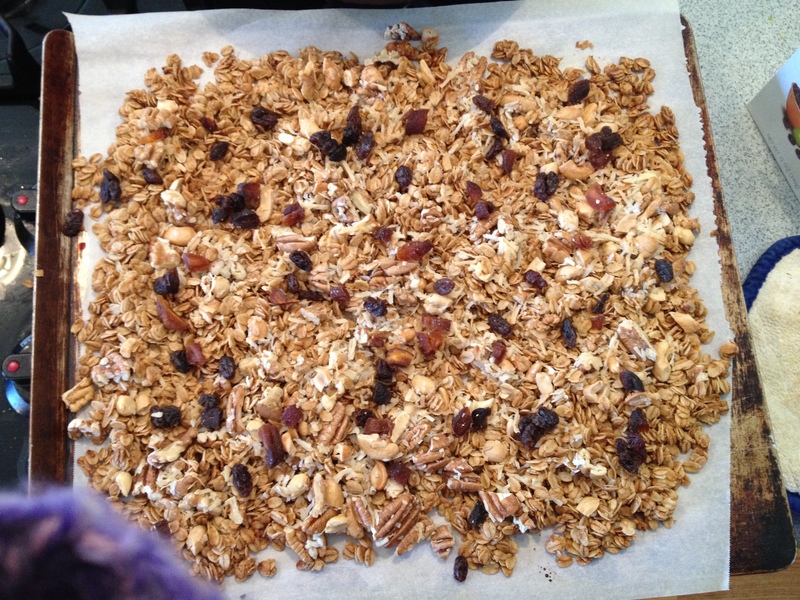 When I serve mine I like some dried fruit so I added chopped apricots and raisins after the granola cooled! Roast chicken is on my “perfect it” list. I can’t get over all of these wintry roasted, braised, wine-y, juicey, flavorful roast chicken recipes. This one is no exception! After making the stove-top Mediterrean chicken and rice, I wanted to try out the pan-searing then roasting in the oven technique. I thought this was called braising but apparently that’s for like one-pot meal kind of things. I adjusted the recipe by 1.5 to make it suitable for 6 people and thus had to shift from baking in a skillet to a roasting pan. It worked out fine though because I still made the gravy/sauce in the skillet since it had the seared chicken juices in the pan. 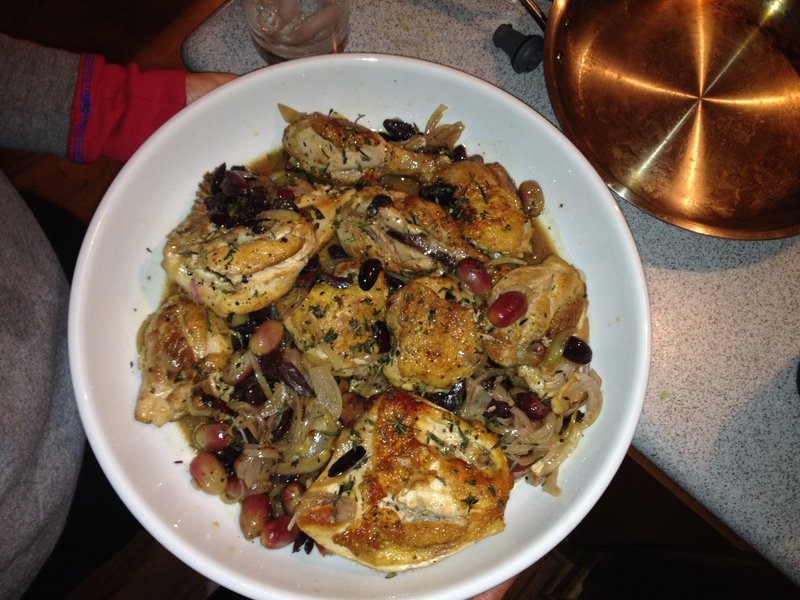 Both serious eats and amateurgourmet have tried the recipe for this chicken. So, like JoytheBaker suggests, still working on “mise en place” this year aka PREPARE BEFOREHAND! Aka our trusty 3×5 cards to prep us for a seamless transition from pan to oven. Bone-in skin-on chicken, you are in fact somewhat difficult to work with. Deb suggests you use any mix of bone-in skin-on cuts, but I have to say it’s hard to get breasts to cook at the same tenderness as thighs and drumsticks. 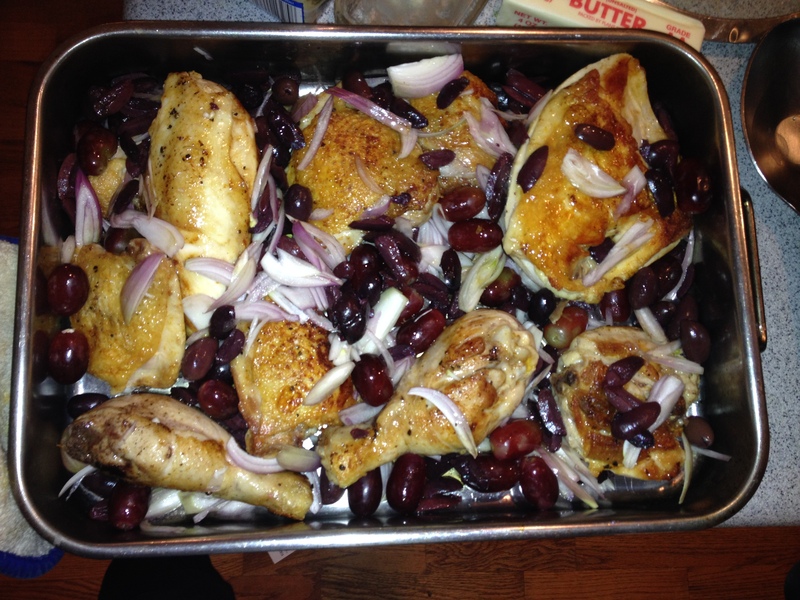 The breasts cooked up faster and I was still waiting on the dark meat. I know that if you’re having guests (which I was) you really need to have both white and dark meat, but please, if you are going to make this and like dark meat, I’d stick to drumsticks and thighs. Much juicier! To start, I focus on the bird. Cutting off excess fat and drying the chicken, then sprinkling each piece with kosher salt and pepper. Since the chicken will take a little bit of time in the pan, it was okay to worry about the accoutrements after I got the chicken in the pan. Then, go ahead and heat up your pan, add a very tiny bit of oil and sear away on the skin-side first! 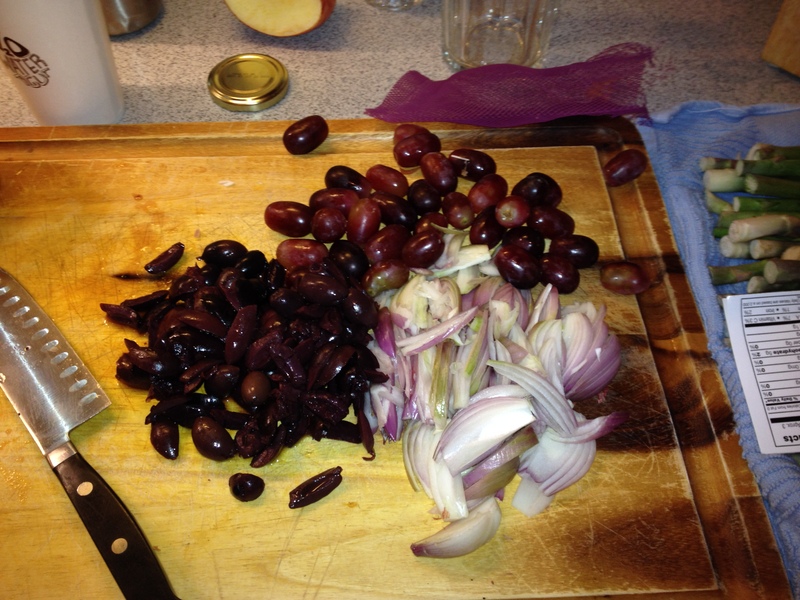 After washing my hands and being chicken free, I sliced shallots very thinly and measured out 1.5 cups each of grapes and olives. 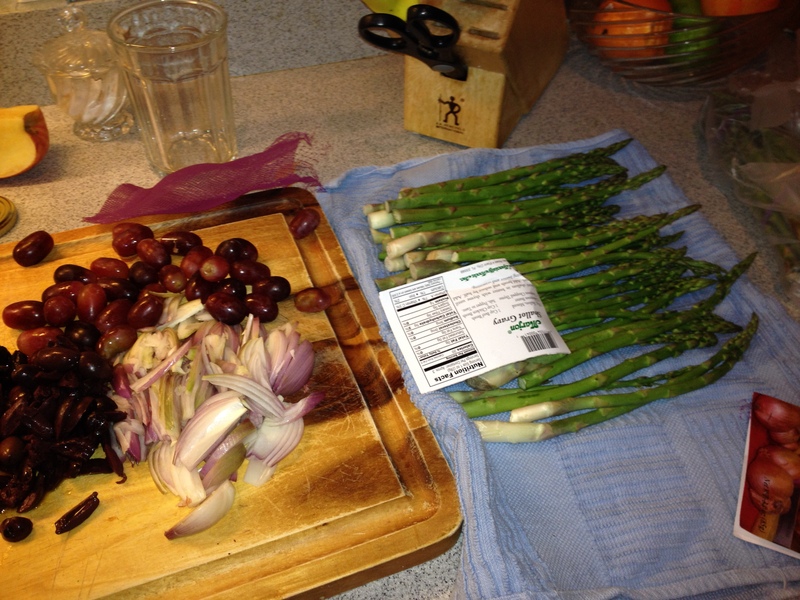 I decided to serve with a side of lemony garlic asparagus, so I also washed and prepped those. Set out your white wine and chicken broth for later. After searing my two batches of chicken and gaining a thin film of chicken fat on my shirt, I nestled the chicken into a roasting pan and mixed these guys over top. I thought it would need some salt or flavoring or something, but turns out the blend of sweet grapes and really salty olives kept it flavorful. 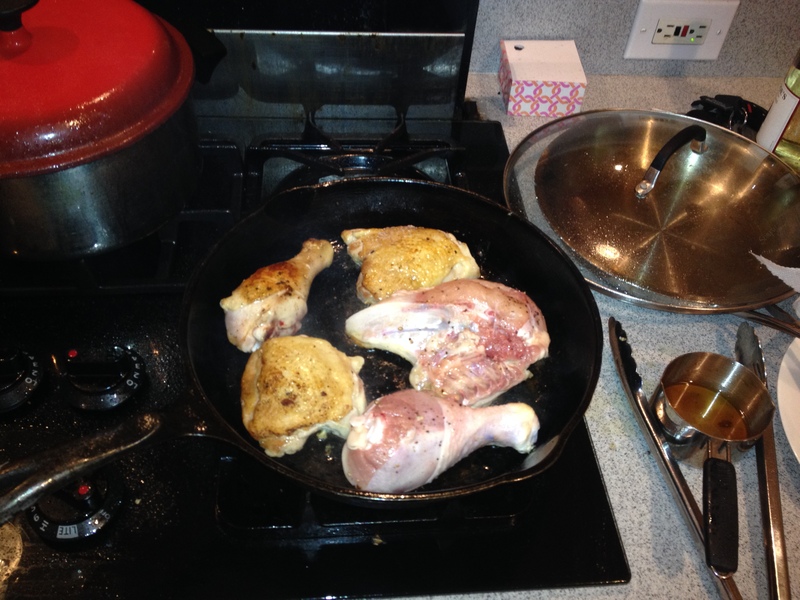 When the chicken emerged from the oven after around 23 minutes, I scraped the juices back into the skillet to make the white wine and chicken broth sauce. Pour over top and garnish with fresh rosemary. I served this with crusty french bread and steamed asparagus yummmm. First of all, I am very in favor of having either Christmas Eve or Christmas Day low-key meals. It’s good to go all out for one meal, but I mean we don’t need to have the Tums bottle out all day. That being said, the afternoon nap is a must for both occasions!! 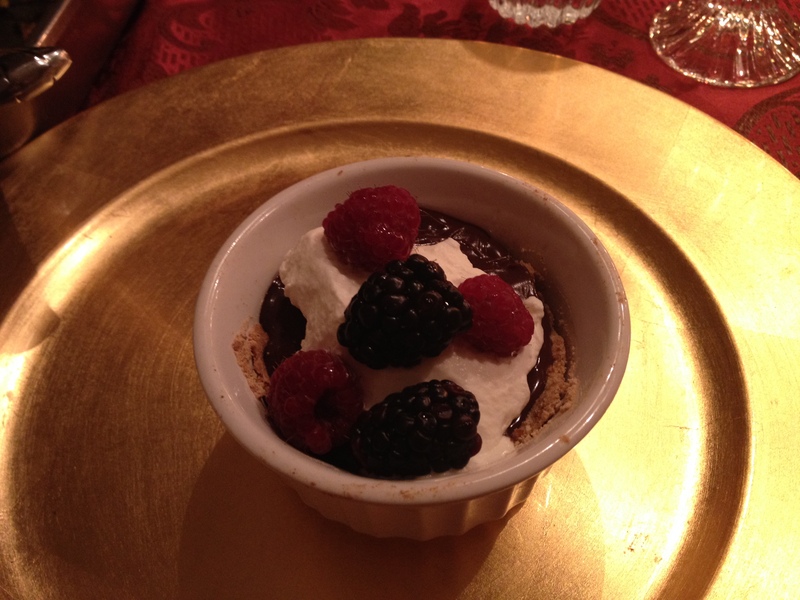 Also, I have yet to experience the Christmas morning sweets breakfast as my family is more of a savory breakfast bunch. Get ready to experience an East Indian Christmas tradition! We nixed lamb chops this year due to too many fatty lamb chops in years past. 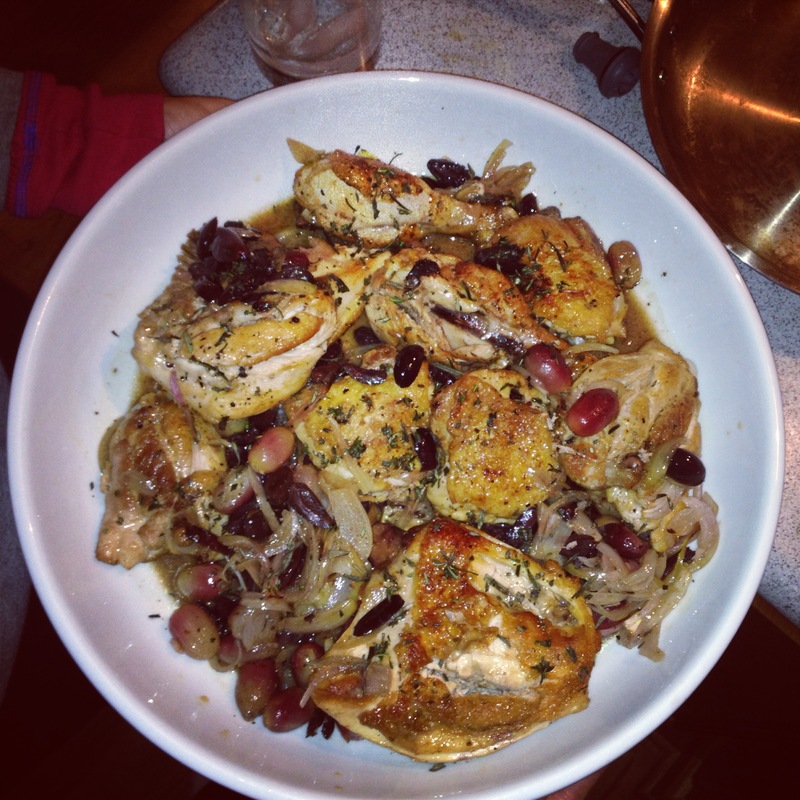 I made that fabulous Chicken with Caramelized Onions and Cardamom rice that we’ve had before instead of worrying about trying a roast chicken recipe. 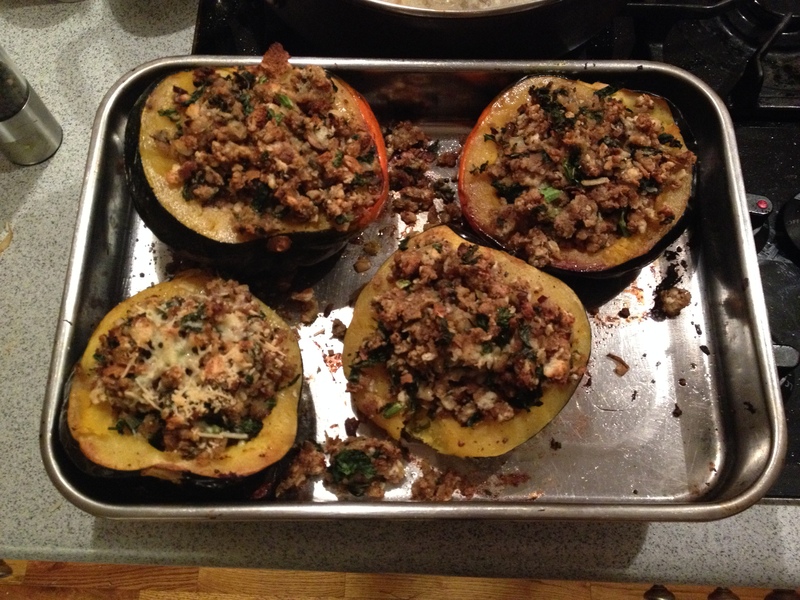 For the sides, I made these delicious Stuffed Acorn Squashes! Watch and learn. 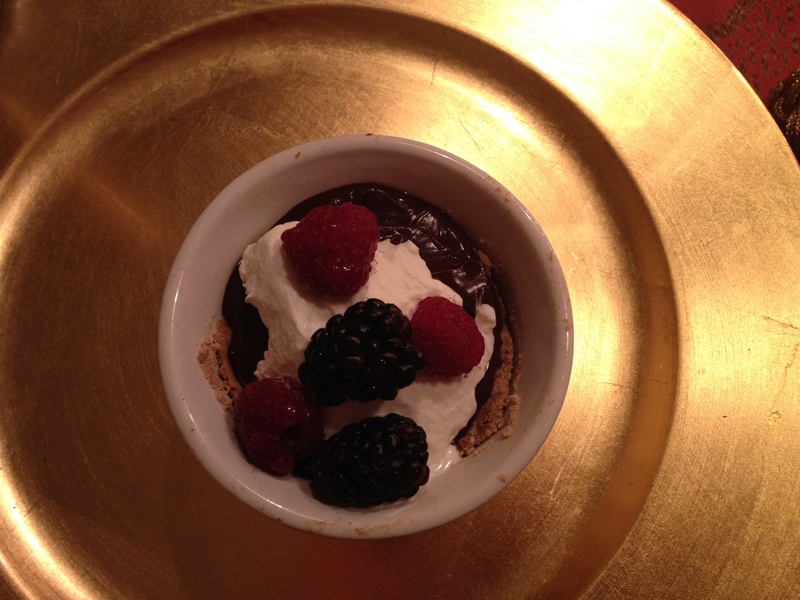 For dessert, it was a take on JoytheBaker’s dark chocolate ganache tart with sweet cream and mixed berries, made in individual ramekins. SOLIDDD. Christmas day, we had fugias which are an East Indian tradition and what we eat every Christmas morning. 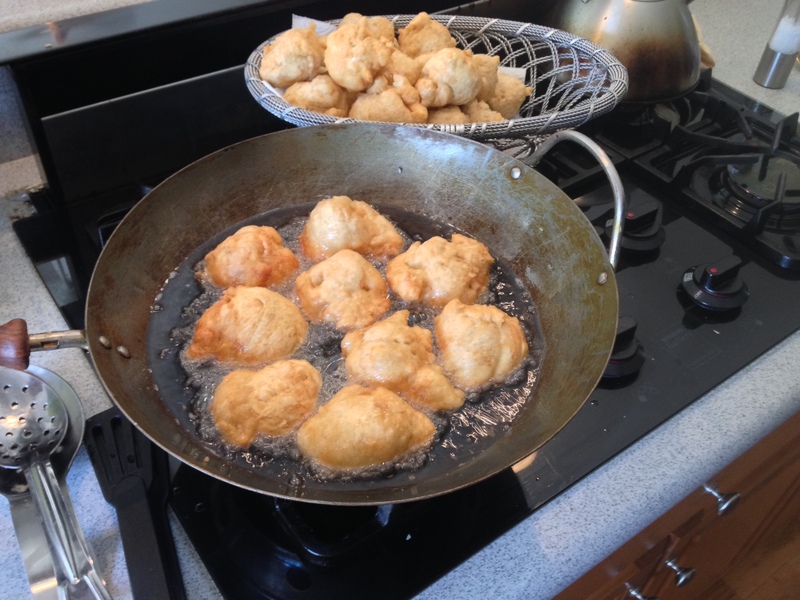 Basically, fried puffy dough balls. Sides included scrambled eggs, berries, leftover stuffed squash, bacon, and we saved room for an easy lasagna. 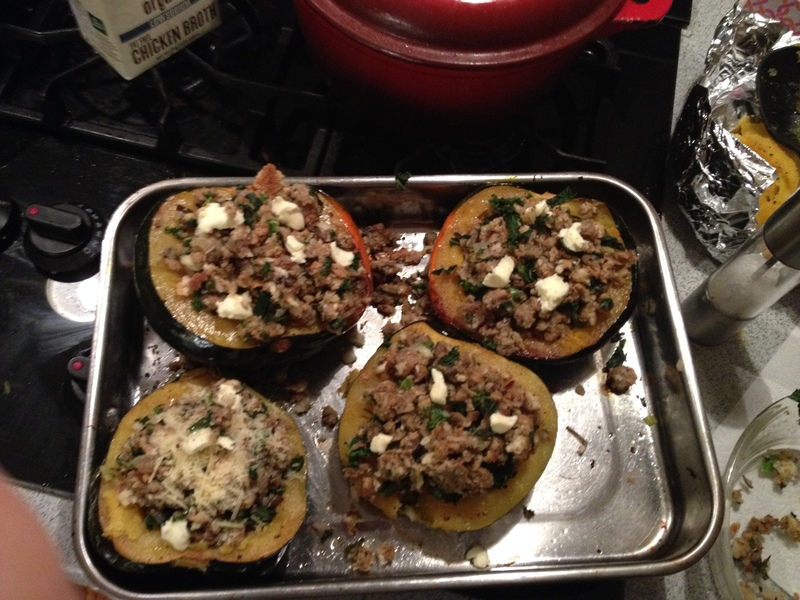 Here’s how I made my stuffed squash! A very non-recipe kind of a dish – I’m still working on making a documented recipe for this one, but this was the first time I tried! And it came out great. Start by setting the oven to 425 degrees. 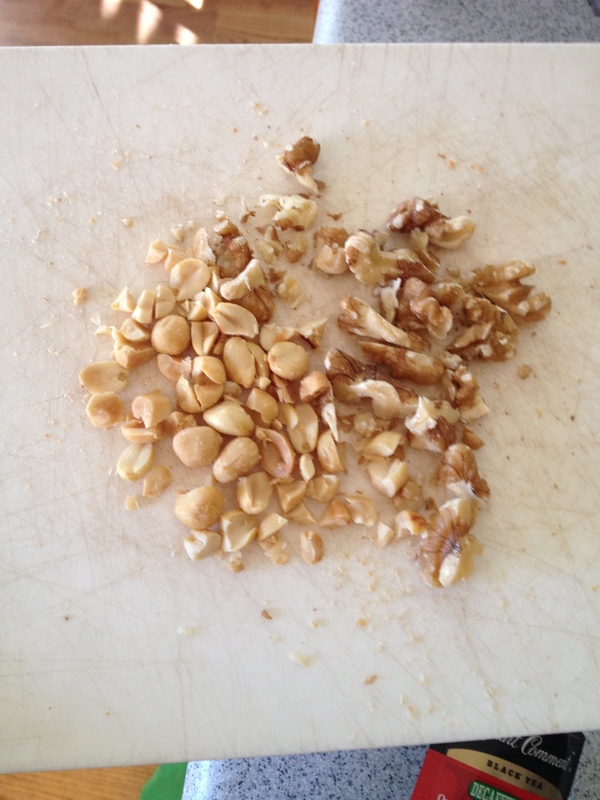 Cut your acorn squash in half length-wise, scoop out the seeds and scrape out all the inside stringy part. Use a regular spoon for this part. 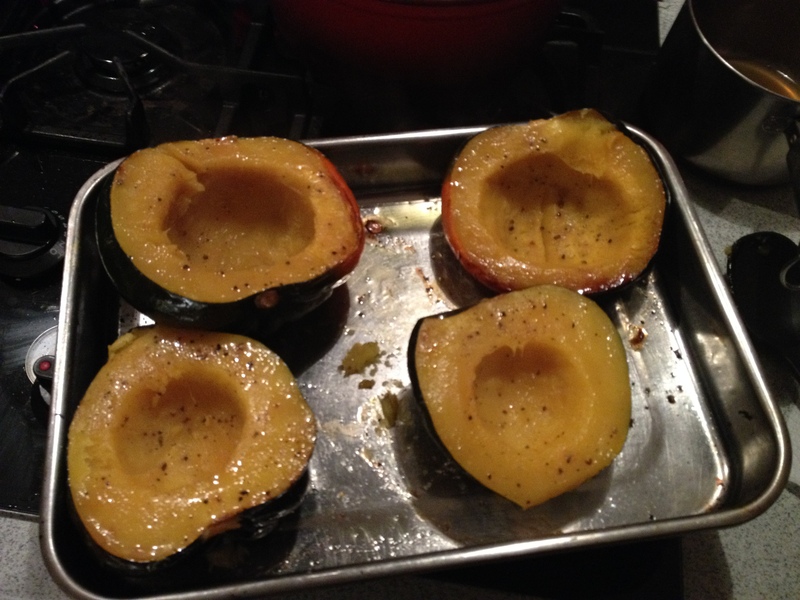 Then rub olive oil on both sides of the squash halves and sprinkle liberally with kosher salt and pepper. Roast face down in the oven in a roasting pan or other 9×13 pan for about 25-30 minutes until the inside is pierced easily with a knife. Meanwhile, heat half a stick of butter in a saute pan, add 1 chopped onion and 3-4 cloves of minced garlic until the onions are soft. Add in about 4 ounces of chopped mushrooms and let them soften as well. Sprinkle with salt and pepper and add in chopped thyme from about 10 sprigs, red pepper flakes, a bag of stuffing mix, and a few cups of chicken broth. Then drop in a few handfuls of kale until all the stuffing has absorbed the liquid. After your squash is ready, remove from the oven and stuff the cavity with your stuffing mix. It’s even better if you let it overflow! Drop a few dobs of butter on top and some parmesan cheese if you’d like after adding the stuffing. 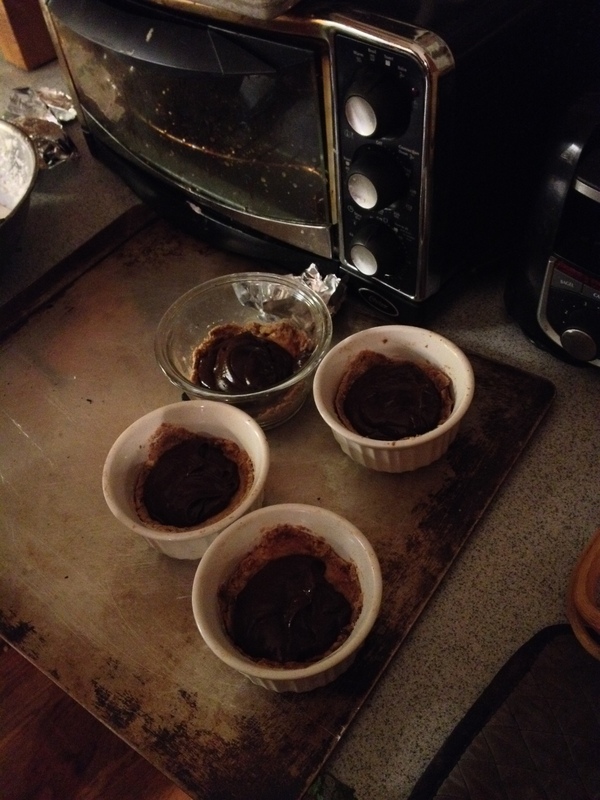 Bake for about 20 minutes until the tops are golden brown. Serve immediately. Here are some pics of my tarts and the fugias!